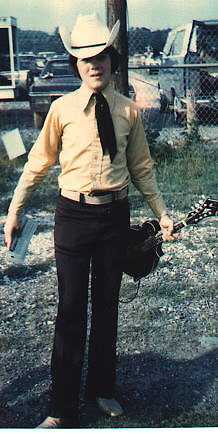 Del Bittle was high bidder on this photograph of Marty and wanted to share it with you. 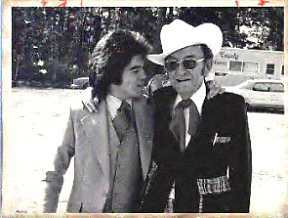 It's Marty with his mentor, Lester Flatt. Thanks Del. These photos were sent by Linda Hearn. They were taken by her mother in 1973 at a show in Mt. Airy, NC. Thank you Linda for sharing these with us.